Ronald August 26, 2016 The Importance of Registering Your Domain Name2016-08-26T05:12:17+08:00 Topics: Web Development. Subjects: Domain Name. One of the world’s biggest sellers of routers and Wi-Fi access points, TP-Link, is in a bit of a pickle as it faces paying $2.5million or losing its branded domain name – confirming the importance of registering your own and renewing it. This resulted in the company’s main and user sites to go down, causing a disruption in services and the potential for routers using the company to be hijacked. 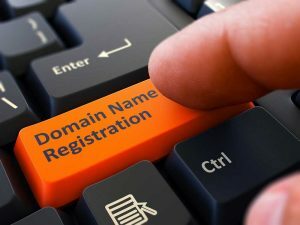 The $2.5million to get the name back is due to domain name brokers taking advantage of the company’s mistake, and this all could have been avoided if they had paid attention to their renewals. When setting up a business website then, registering domain names should be a priority. Not only does it ensure you have the name for the site that you want, it also means there will be no disruption in the future should someone else take it from you and pay more for it. If you are about to create a website sign up for your domain name now, even if site development is nowhere near close to starting. 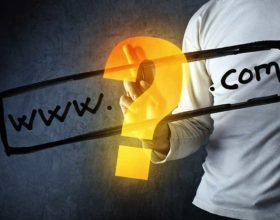 Domain names with .com and .co.uk suggest reputability, but if you have a name that is popular you might have to opt for .net or .biz. Registering a domain name ensures your brand is recognizable online and also gives you the opportunity to move your site around hosts when upgrades are required at a later date – because the domain name is yours it should be easier to make changes. Your domain name will greatly impact your marketing and SEO. Those who choose domain names featuring keywords should see an impact on their click throughs and those who don’t might need to work a little harder to get their presence noticed. However, try to avoid too many keywords in a domain name, Google has caught onto the concept and considers it akin to spam, which could impact on your rankings if they think you’re playing that ‘game’. Your domain name must be registered through an organization called ICANN. You will need to pay a registration fee that may be incurred over a certain amount of years or needs to be renewed annually. 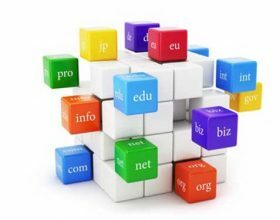 You simply choose the domain name you want, check its availability and then register for it on a domain buying site. Alternatively, if you are managing your website through a service such as WordPress or Blogger there is the option to purchase a domain through these. Be sure to check if the domain name automatically renews, or if you need to do this yourself and make a note of the date. It’s so important you don’t miss this and lose your domain! Just be careful when coming up with that domain name that you don’t create something highly inappropriate – like the ones featured in this article.